Princess Leia’s cumulative screen time in the original Star Wars trilogy, a couple of glorified minutes as a baby in Revenge of the Sith, and the new film The Force Awakens amounts to a little over an hour in a series that is fifteen hours long. Writing a character given so little time to develop organically in a film series would be difficult in theory, but Claudia Gray’s Bloodline novel managed to give Princess Leia the spotlight for 341 pages. In doing so, Gray develops Leia more than any of the film iterations did, and in the process, she teaches us an important lesson about writing female characters. As worn-out as the phrase “strong female character” is, it’s a good jumping off point from which to juxtapose the original incarnation of Princess Leia in the films against Bloodline’s version of her. 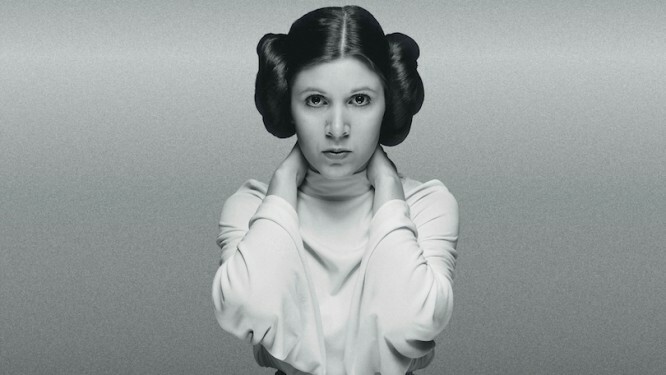 In the films, Leia was written as a character that was “strong,” meaning she possessed characteristics that evoke strength in Western culture—independence, boldness, and determination. However, because there was never any more asked of her, she was a two-dimensional character. How did she feel about Alderaan? About Vader? What compelled her to join the Rebellion? Would she actually be the kind of person who would take up the mantle of Jedi if Luke failed? It’s hard to say since we saw so little of her both literally and figuratively. In the novel, which takes place before the events of The Force Awakens, Leia acts as a senator torn between what she feels to be her duty to the Senate and her love of danger and adventure. Leia has a strong sense of justice that compels her to continue to work with the Senate in spite of her concern that it is falling apart. As she goes about her work, she engages in both diplomatic discussions that force her to curb her fierce temper and risky situations where she has to be clever to survive. She manages to do a lot more in the space of one spin-off novel than she does over the course of multiple movies. The novel does a great job of maintaining the basic character traits established in the movies and expanding upon them. According to Bloodline, Princess Leia is more than a hotheaded token princess—she is an intelligent politician and a rebellious sparkplug with a tragic backstory. Now, usually when you finish your first draft, you’ll realize that some of your characters—both male and female—are a little flat. This is OK—you have time to fix it! But sometimes when we’re developing and strengthening characters in subsequent drafts, our female characters can still fall into predictable patterns. They become “the innocent girl,” “the seductress,” “the manic pixie dream girl,” or even “the strong female character” entirely too often. When you’re writing women, we want to challenge you to go beyond these archetypes. Given enough time and attention, you can flesh them out to give each of your characters a unique identity. While not every character needs to have a backstory that involves their home planet blowing up and their biological dad being Public Enemy No. 1, they do all need to have plenty of time for action and building relationships with other characters. If you’re continually asking yourself, “What makes her unique?” you’ll end up on the right track.